For this edition of Property Data Update, we used our homemover data to examine the property market in Peterborough and surrounding areas. Peterborough is just under an hour away from London on the train, meaning a potential commutable town to buy in. The average asking price for a property for sale in Peterborough is £272,490, while the average time that the property is on the market for is 134 days. Just over an hour away by car south of Peterborough, is Cambridge. The average asking price for a property for sale in Cambridge is £434,950 - over £162,000 more than the average asking price of a property in Peterborough. The average time that a property is on the market for in Cambridge is 111 days. To the west of Peterborough is Coventry; properties on the market in Coventry have an average asking price of £298,493 which again is higher than Peterborough. The average time that a property is on the market for in Coventry is 101 days, suggesting a slightly higher demand than in Peterborough, despite the higher prices. Northampton is just over an hour away from by car, with an average asking price of £278,082 and average time on market, like Coventry, is 101 days. 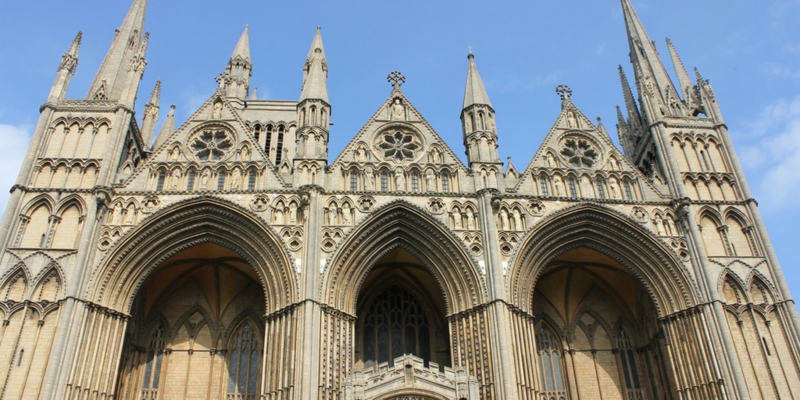 In terms of the rental market, the average asking price for a rental property in Peterborough is £743 per calendar month (pcm). The average time that a rental property is on the market for in Peterborough before being rented or being withdrawn from the market is 79 days. Cambridge has a higher average asking price of £1,127, over £300 more than the Peterborough average asking price. The average time that a property in Cambridge is on the market for is 106 days, slightly longer than Peterborough. Northampton has similar average asking prices for rental properties with an average asking price of £743pcm. However, despite the average asking prices being similar for the two locations, the properties in Northampton are on the market for longer, at 85 days compared to Peterborough’s 79 days. Coventry has a much higher average asking price of £1,360 pcm - almost double that of Peterborough. The average time that a property is on the market for in Coventry is 138 days. This is 58 days more Peterborough, and perhaps is due to the significantly higher prices in Coventry. Based on the location comparisons, Peterborough properties for sale are on the market for the longest, however this perhaps appears to be an advantage for those looking to buy a property, as Peterborough also has the most affordably priced properties based on the average asking price. Properties in the rental market paint a slightly different picture with regards to the time that the average property is on the market for. Peterborough rental properties are on the market for the shortest amount of time and properties there are also the most affordable compared to the other locations assessed. To read more of our Property Data Update posts, click here. Updated daily with details of 99.6% of UK movers at the pre-move stage, TwentyEA's Homemover database is the most in-depth and accurate in the UK. For more information about TwentyEA's property and homemover data provision and insight solution, or any of our other services, please call 01908 829300 or email enquiries@twentyea.co.uk.